After a long but beautiful journey on the mountainous unpaved roads of Bosnia, we moved from breathtaking wildlife, to Mostar; an iconic and elegant city. 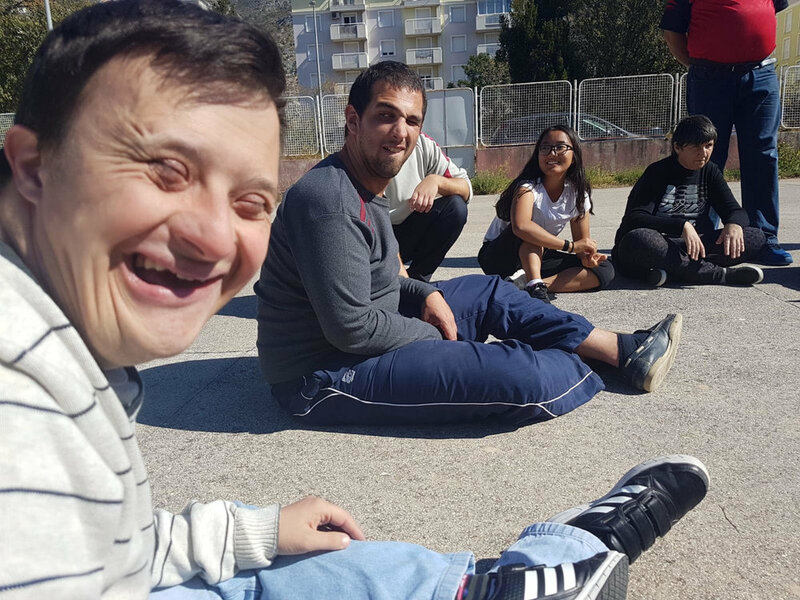 While in Bosnia, we worked with three fantastic organisations; Los Rosales (The Roses), SOS children’s Village and Egyptian village. 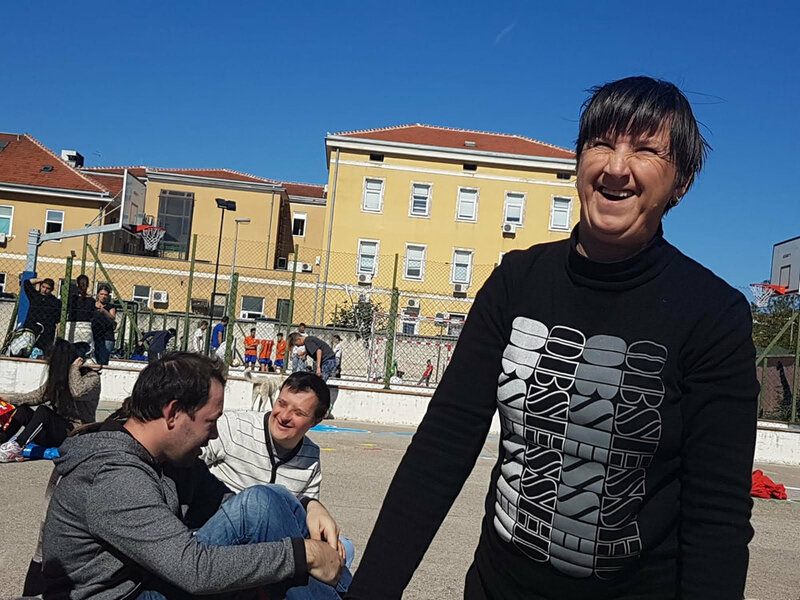 Los Rosales is a day centre for disabled adults and children. Our team was amazed by the organisations staff, facilities (for example their music therapy equipment and snooze rooms) and family like atmosphere. Not only were we lucky enough to run sessions with this group, but we were also invited on multiple excursions. A personal highlight was traveling as a group to a local park, where we played games and ate traditional food. Staff and residents even organised a litter pick, where everyone worked together to clean the park in order to have a positive impact on the local community and the environment. The celebration continued all the way home, with everyone singing chants on the bus, such as “Los Rosales! Sha la la la la la la!” On Wednesday, we met the Bosnian Minister of Education and Science and an Honorary Consul, who we told about World at Play’s mission. Both were amazed by our journey, and wished us luck for the remainder of the trip. Our final day consisted of a sports tournament with all of the residents of Los Rosales. We were even lucky enough to attend a session as well as run one, as one of the children decided to lead some aerobics on the parachute!! After a trial session on the last World at Play expedition, SOS children’s villages offered a diverse and demanding schedule this year. We worked with 5 organisations including kindergartens, a primary school and a children’s club. As a team, we were tested on our flexibility, adaptability and our name memory skills! The only thing we would change about this experience is the time frame; we really wish we could have worked with these amazing and enthusiastic kids for longer! 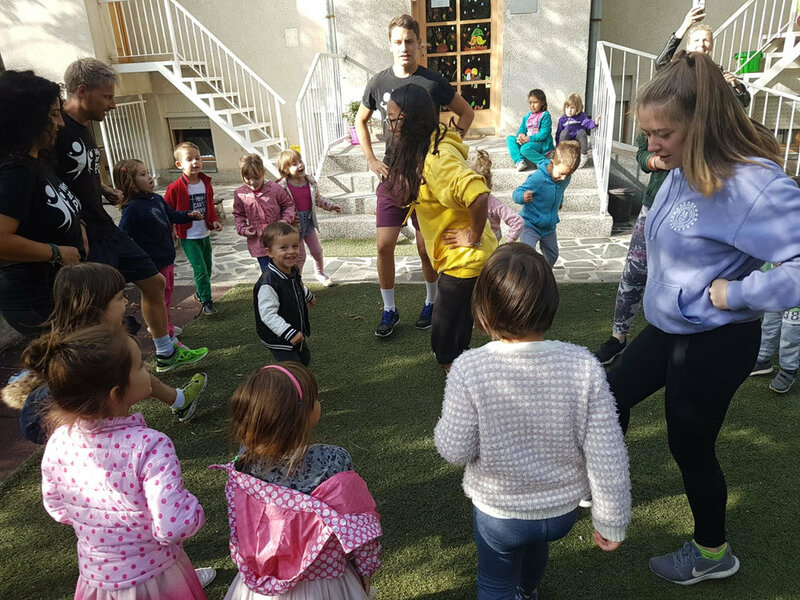 In one kindergarten (for children from three to six years old), the children beat us in a dance battle with their rendition of ‘Gangnam style’, and Shakira’s ‘Waka waka’! We also had the opportunity to work with older children in the primary school and children’s club. One of the team’s favourite games is ‘Chuck the Chicken’. We don’t own a rubber chicken, so have always used a rubber dinosaur. When you throw the dinosaur as part of the game, you shout “DINOSAUR!” as loud as possible. Unfortunately, we lost our dinosaur due to a tree related mishap in a previous game. But this didn’t deter the children at the children’s club from playing; They threw a small red ball but still proudly shouted “DINOSAUR” as loud as they possibly could! The staff at SOS were very kind, helpful and devoted to their work. They were engaged with all of the children and organisations, and we hope that we can work for longer with them next year! The team also really enjoyed working in an integrated Bosnian/ Croat kindergarten. 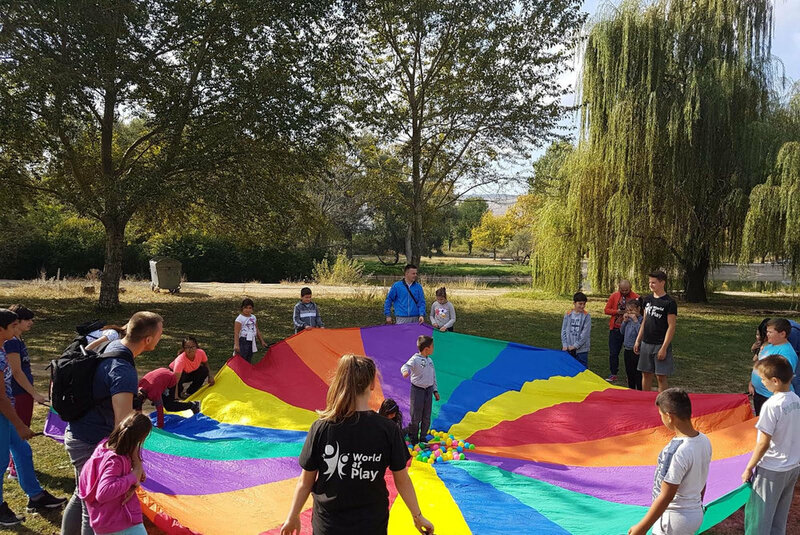 It was amazing to see the children playing together peacefully, with no concerns about the ethnic divide that still resides in many parts of Mostar. Egyptian village is an orphanage located near Los Rosales in Mostar. This was quite a challenging place for us to work, as few children attended the session and many had quite challenging behaviour. However, we were able to adapt our plans to cater for all these challenges. Competitive games such as hockey, handball, netball and many others stimulated all to get involved. Because there were few children, we were able to form strong bonds and include all children. For example one child, who called himself “Modrić”, originally refused to play anything other than football. However after some encouragement, he joined in with hockey, monkey ball, volleyball and some name games (although he still called himself Modric!). After a week of sessions and bonding, we were lucky enough to attend a celebration ceremony. We watched the children perform dances, sing and present awards. In addition to this, they collaborated with Los Rosales during the ceremony, who also showcased their singing and dancing talents. We really didn’t expect to make such fantastic bonds with the children in Egyptian village, which made saying goodbye harder than we anticipated. We left Bosnia satisfied, emotional and very tired. We were humbled by questions from the children about when we would return for more sports and games. With one final Burek, we said goodbye to Bosnia.